Ensure you get the best for your Melbourne drains and rely on the experience, expertise and latest technology from the drain specialists at Blockage King. At Blockage King, we've invested in state of the art equipment to be able to give our Melbourne customers the best in diagnostic and drain repair technology. With our video camera inspections, you can be sure your drain issues can be located with pinpoint accuracy, it will be correctly diagnosed, enabling repairs to be performed quickly by our experienced and professional plumbing team. 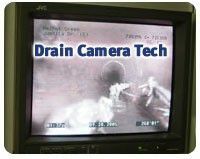 You also gain the peace of mind of seeing the issue inside your drain for yourself and we can even supply a USB or DVD copy of the inspection which you can keep for future reference. For more information or to speak with one of our friendly team about our drain and sewer solutions and camera inspections, call and speak with the Blockage King today.